Hello everyone! Please check out my website http://www.jamesalanross.com for a list of upcoming events and appearances. Find me on Facebook and Instagram @jamesalanross where I share thoughts and ideas about all things paranormal! You can also join my FB group Black Willow Paranormal and take part in discussions about paranormal topics. I hope to see you soon! 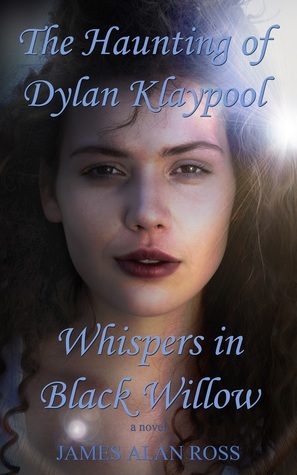 James Alan Ross, Author of “The Haunting of Dylan Klaypool Whispers in Black Willow” has written an intense, scary, intriguing, riveting, page-turning, suspenseful, dramatic, paranormal mystery. The author vividly describes his quirky, unique characters and the ghostlike feel landscape. Names such as Cemetery Road add to the eerie feel of the story. Dylan Klaypool is a teenager and junior in high school. She has a very dark past and has no friends. Currently she is living with her grandmother. The keys to her past seem to be in her obsessive search for dark answers through paranormal investigation. Often on her way home, she sees a grave digger. Dylan does make the acquaintance of a fellow student who is interested in many of the disturbances that she is. I would recommend this book to readers that enjoy a good paranormal mystery. I look forward to reading the next book in the series. This will be on Lindas Book Obsession blog, through Suzy Approved Book Tours in February. 2019.. Happy Reading!